"Oh, no! I know what you want! You coveteth my ice cream bar!" 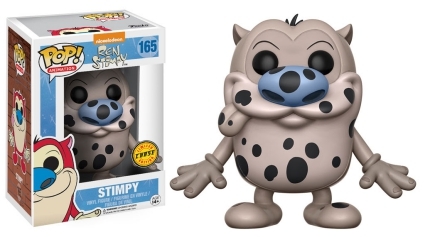 As Stimpy says, "easy now..." Fans just want to get their hands on the Funko Pop Ren and Stimpy vinyl figures. And, it's no wonder with an assortment of main and chase options. Although The Ren & Stimpy Show or simply Ren & Stimpy, ran for a short five seasons (1991-1995) on Nickelodeon, the title characters made lasting impressions on viewers and future animated television forever. The cartoon follows an unlikely duo: Ren, an extremely volatile chihuahua, and his good buddy Stimpy, an affable cat, although somewhat of a simpleton. 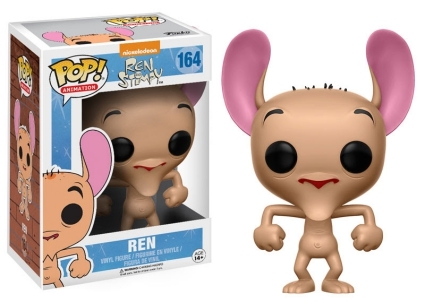 Taking these adored characters' personalities to heart, Funko Pop Ren and Stimpy figures indeed embody their small screen personas. Ren in his tantrum pose, has bits of hair peeking through his bare, beige skin and his pink ears help him appear taller than the standard Pop! figure (3 3/4"). 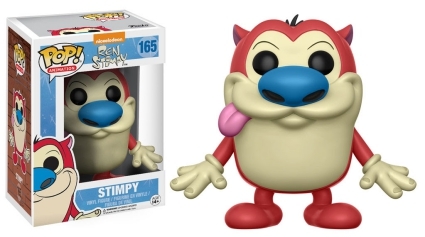 Funko has truly outdone themselves (again) with the main Stimpy figure as he is virtually identical to the cartoon version. 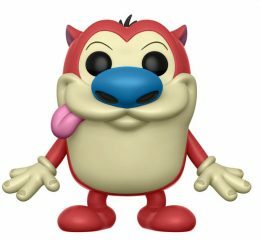 With an enlarged blue nose and a big goofy grin, Stimpy is shown with his tongue out to the side and hands faced down as if he is getting ready to rush in for a hug. Numbered as part of the Pop! 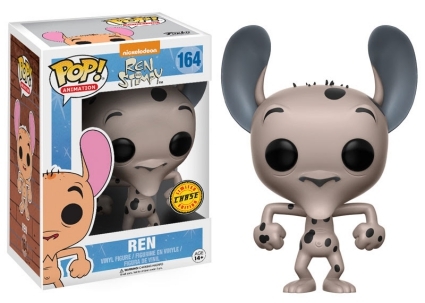 Animation line, Funko Pop Ren and Stimpy also includes limited chase variants (1:6 boxes) for each figure. The variants pay homage to a now famous episode from the first season—"Fire Dogs"—where the two paint themselves to resemble Dalmatians. Although Stimpy keeps his blue nose, Ren is a completely grayish color. 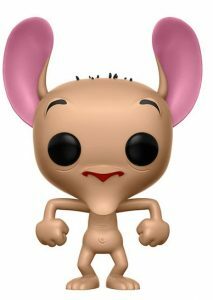 NRFB Funko POP Vinyl REN figure #164 Ren and Stimpy NIB! !